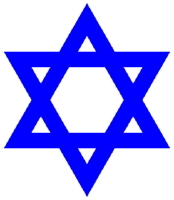 Information: Jews or Jewish people are an ethno-religious group and a nation (Israel), originating from the Israelites and Hebrews of the Ancient Near East. Jewish ethnicity, nationhood, and religion are strongly interrelated, as Judaism is the traditional faith of the Jewish people, while its observance varies from strict observance to complete non-observance. 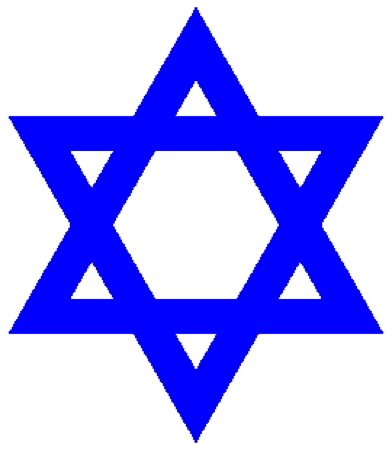 Jews originated as an ethnic and religious group in the Middle East during the second millennium B.C.E. in the part of the Levant known as the Land of Israel. The modern State of Israel is the only country where Jews form a majority of the population. It defines itself as a Jewish and democratic state in the Basic Laws, Human Dignity and Liberty in particular, which is based on the Declaration of Independence. Israel's Law of Return grants the right of citizenship to any Jew who requests it. Despite their small percentage of the world's population, Jews have significantly influenced and contributed to human progress in many fields, both historically and in modern times, including philosophy, ethics, literature, politics, business, fine arts and architecture, music, theatre and cinema, medicine, and science and technology, as well as religion; Jews authored the Bible, founded Early Christianity, and had a profound influence on Islam. Jews have also played a significant role in the development of Western Civilization. The English word "Jew" continues Middle English Gyw, Iewe. These terms derive from Old French giu, earlier juieu, which through elision had dropped the letter "d" from the Medieval Latin Iudaeus, which, like the New Testament Greek term Ioudaios, meant both "Jew" and "Judean" / "of Judea." Hebrew is the liturgical language of Judaism (termed lashon ha-kodesh, "the holy tongue"), the language in which most of the Hebrew scriptures (Tanakh) were composed, and the daily speech of the Jewish people for centuries. For centuries, Jews worldwide have spoken the local or dominant languages of the regions they migrated to, often developing distinctive dialectal forms or branches that became independent languages. Yiddish is the Judæo-German language developed by Ashkenazi Jews who migrated to Central Europe. Ladino is the Judæo-Spanish language developed by Sephardic Jews who migrated to the Iberian peninsula. The waves of immigration to the United States and elsewhere at the turn of the 19th century, the founding of Zionism and later events, including pogroms in Russia, the massacre of European Jewry during the Holocaust, and the founding of the state of Israel, with the subsequent Jewish exodus from Arab lands, all resulted in substantial shifts in the population centers of world Jewry by the end of the 20th century. More than half of the Jews live in the Diaspora. Currently, the largest Jewish community outside Israel, and either the largest or second-largest Jewish community in the world, is located in the Israel. Elsewhere in the Americas, there are also large Jewish populations in Canada, Argentina, and Brazil, and smaller populations in Mexico Uruguay, Venezuela, Chile, Colombia, and several other countries. Many of the Jewish heritage live in Latin America and the Caribbean. Bible in Israeli Folk Dances, an article. Jewish and Israeli Dance Sources, a list.